Australia is an industrialized country and one of those where greenhouse gas emissions have gone through the roof as much as 29 tons per year. In the last 20 years amount of emissions that are generated per dollar of GDP are increased, this has made it emission intensive economy holder.The biggest source for the addition of greenhouse gas to the system was the electricity generation and it contributed 34% in 2005 to emit these gasses polluting the environment. This has been seen to be growing up 3% every year and since 1990 it has increased up to 68%. The reason of high emissions is that one-third of the energy is lost before it reaches the consumer and from the remainder energy 10% is used in Aluminum smelting. The mode of production of energy is also what is adding up to the greenhouse gases that is the production of 78% power from coal, 14% from natural gas, 4.7% from water and just 3.3% of energy is produced from renewable energy sources. Almost 20% of energy is just used to meet the peak demand of energy on the shear weather days that is hottest and coldest days.The electricity prices in Australia are the cheapest in the whole word because it is very easy to mine coal there. The total bill received is divided such that 40% is given to the power station, 10% to the transmission line company, another 40% to the distribution company and the last 10% is the profit of energy retailer. But these prices are now increasing because ageing infrastructure is now replaced with the new one in order to fulfill the consumption demand of the people especially in the peak periods. This includes replacement of poles and wires. These all demands are however, not changed much over some time and it is because there is not much of an economic growth and other major actions. Find the facts here! 90% electricity generated is from National Electricity Market (NEM), this extends from Port Douglas that is in far North Queensland to Port Lincoln in South Australia. The regulatory system that is running NEM is the one that was formed by an agreement between the states and territories in 1995 and was overseen by the Standing Council on Energy and Resources and this complex regulatory system was implemented through National Electricity Laws and Rules.The main objective promoted by National Electricity is to provide electricity that fulfils the long term interest of consumers that is its price, quality, reliability, security all is in favor of consumer. But when we compare to other countries such as UK, there are no environmental or social objectives that are introduced in fact SCER has resisted from its introduction and implementation. When the demand of electricity is rising there can be two responses. Either reduce demand or increase energy efficiency.National Electricity Rules are making poles and wires companies to invest in new infrastructure rather than managing the demand solutions especially in the peak times of demand. This has increased the investment in the infrastructure development. 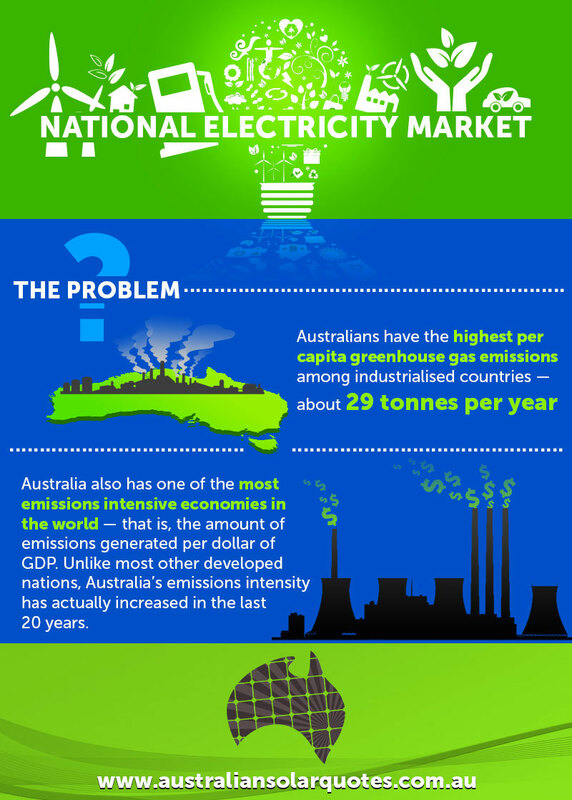 1 Reply to "The Problem with Australia's National Electricity Market"